The first time a New Zealand writer won the Booker Prize was in 1985. Even as I type this sentence, I wish I could make it more complicated. What is a New Zealand writer? Are there degrees of being a New Zealand writer? When Keri Hulme’s The Bone People won the Pegasus Prize for Maori fiction, the year before the Booker, the prominent poet, critic and academic CK Stead wrote that Hulme was a Pakeha (that is to say, European) writer who won an award intended for a Maori. He went on to state that ‘her uses of Maori language and mythology’ struck him as ‘willed, self-conscious, not inevitable, not entirely authentic’. Hulme is in fact of English, Scot and Maori ancestry, but Stead questioned how this woman – who was raised as an English speaker and had been taught letters in the white colonial school system – could legitimately occupy the position of an indigenous writer. As if you could only be one out of inevitability. At the time, if Hulme could still call herself a writer at all, she didn’t owe it to the New Zealander publishing industry, which had repeatedly rejected her novel. The Bone People finally found a home at Spiral, a Wellington feminist collective, which published it with the assistance of two literary grants. The first two editions sold out very quickly. The third was produced in association with Hodder and Stoughton, which enabled the book to reach an overseas audience. 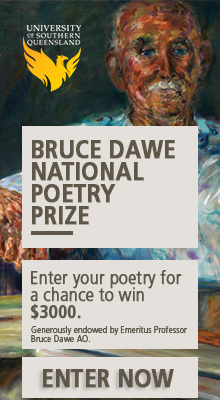 For there’s another condition imposed on the phrase ‘New Zealand writer’ in the context of the big prize, and it is that the writer be published in the UK. All of these stories, these matters of belonging, culminated in the unique spectacle of the acceptance of the Booker on Hulme’s behalf by Marian Evans, wearing a black tux and ‘white leather sneakers with pink satin laces’, flanked by Irihapeti Ramsden and Miriama Evans in traditional Maori korowai. None of them were allowed to speak. In the brief phone interview that followed during the live television broadcast, Hulme – who greeted the news with a hearty ‘bloody hell!’ – was asked if she was pleased that a New Zealander had managed to penetrate the heart of the British literary establishment. With some friends we organised a little get-together this week, so that we could watch Eleanor Catton win her Booker Prize. It happened at 9.45 in the morning, our time, and was broadcast live – not on national television, but through the BBC – in a way that made it feel distinctly like a sporting event. There is something deeply absurd about competitions between artists, and yet they’ve existed for a very long time. We implicitly recognise their value. And the Booker is such a big prize. A big prize for a small country. We feel it. We felt it. A sense of friendship for Eleanor but also of identification with that excessively simple idea, the New Zealand writer. We raised a glass. I’m not going to sit here and claim that the gesture had nothing whatsoever to do with national pride. Eleanor spoke beautifully. I had heard before the parts of her speech that concerned questions of worth versus value, but they were charged by the atmosphere of the event in ways that made them mean more. It was her way of thanking her many supporters, but on this occasion they suggested that the worth of the big prize also be measured by whether it will benefit other writers, if not the entire support system for literature in the small country. It’s a perilous function to devolve to a jury that sits on the other side of the world, that of helping us reach our own public. This book that they chose. Is it theirs now? 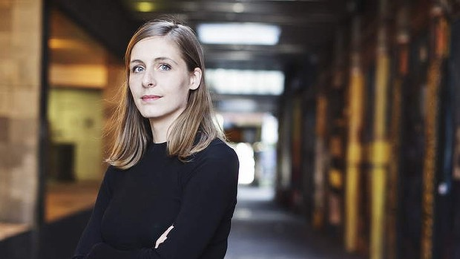 Eleanor Catton is the second New Zealand writer to have won the Booker Prize. Her belonging with it seemed less complicated in a variety of ways. Much as I hoped to hear her say ‘bloody hell’, her speech was perfectly suited to the occasion. Not apologetic or disbelieving, but assured and gracious. We had been on that stage before. The Bone People and The Luminaries are two very different books, but Hulme and Catton are not two very different writers. They share a sense of purpose and design. The Bone People could not find a publisher for so long not because it was turned down, but because it came back with changes that Hulme simply refused to make. When it was eventually published, it came with typos and all – a quite extraordinary thing for a book that would end up winning the big prize. As for The Luminaries, one has to wonder if its intricate and finely crafted mathematical and symbolic structure was also a defence erected against editors and publishers. Catton explained it playfully to her audience (‘the shape and form of the book made certain kinds of editorial suggestions not only mathematically impossible, but even more egregious, astrologically impossible’), and was full of praise for the publishers who put up with those constraints, but the implication is that she left them with no choice. The Luminaries is, as much as anything else, a space for writing, wonderfully filled. And that’s our legitimate, shared aspiration for the big prize, too: that it might help other writers carve their own, demand and receive more of it. I want to stay well away from the ‘degrees of New Zealandness’ argument, and yet how much a book is of this place is still a major element of how art produced in this country is evaluated. Both novels seems firmly rooted to me, in different ways. I guess the next step would be for a New Zealand author to gain international recognition for a book that is not set here. As for readability, I read the Bone People in one session and in a literally feverish state (I had the flu). It’s the one book I couldn’t put down. I can see how the overt formal conceit of The Luminaries might turn some people off, but the pure mechanics of it will be very appealing to a lot of people as well. I think Hulme got offers for film adaptations but it never happened. The subject matter would create enormous difficulties. Perhaps the time for the has simply passed. Ah, fair point, I missed that at the time. Agreed. 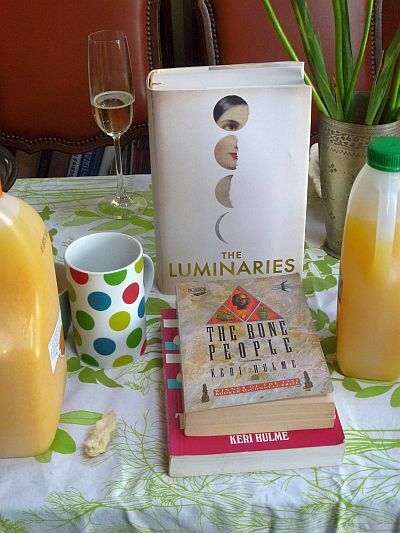 I found The Bone People dialectically riveting, but I’m not rushing out to read The Luminaries. Funny about that. Sorry for being a pest on this celebratory post, but another, perhaps important, point that I overlooked was Stead’s challenge to Hulme being an indigenous writer (and I liked your retort: “As if you could only be one out of inevitability.”) These days, as most recognise, it’s a question of which cultural group a person identifies with, rather than degrees of ancestry, or worse, blood. That same situation seemed to cost Mudrooroo his literary career in Australia, unfortunately, and may have affected Hulme too? I guess also that it’s equally as valid to identify with the world at large, and write about that, wherever you come from – a much tougher gig though in terms of reader engagement and believability. Sure, assuming an indigenous speaking position is highly problematic, fraught, a minefield even, particularly with claims of a privileging of academic interests over the interests of aboriginal groups in the Mudrooroo case, which sent that scandal to the postcolonial studies too hard basket, where it remains as far as I know. The Hulme and Catton cases are different again, as I’m learning. I’ll go read The Luminaries and leave it at that. Thanks. As this is New Zealand week, I thought I’d say that I finally got to read The Luminaries – a pre-Booker copy I found in a second-hand bookshop – and by the dickens (out of Shakespeare), what a great swirl of a novel. Beautifully written, and as Sydney and the Victorian goldfields are referenced in the novel, I wondered how such a tome would fare in the Australian literary / historical context? The jury remains out for me, and I look forward to seeing the film version of The Luminaries, which surely will be made, if it isn’t already in the pipeline. Pirates of the South Seas? If suchlike, look out Hokitita – the film might do for that backwater what Lord of the Rings did for Hobbiton.